To breathe life into the ground floor space at The Working Capitol on Neil Road, eight local visual artists are staging one giant group show: INTERWEAVE. 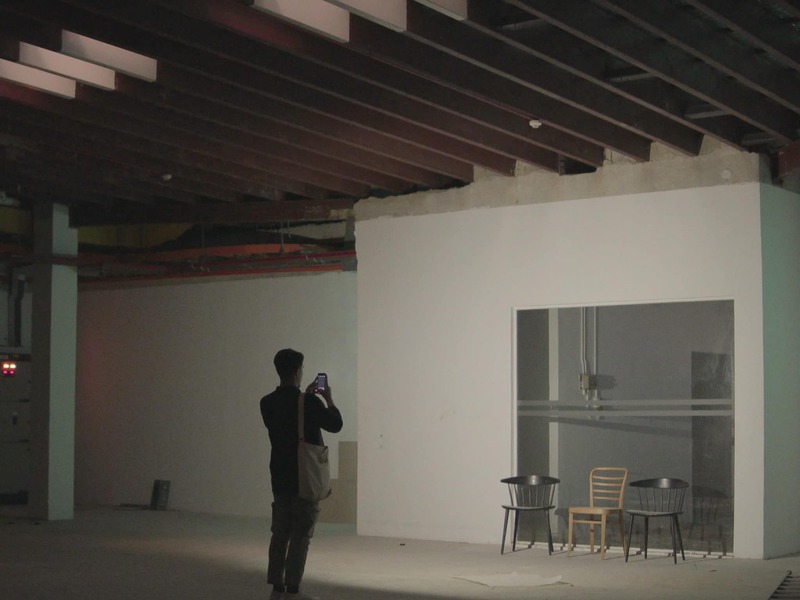 INTERWEAVE is a site-specific exploration of non-conventional art spaces in Singapore, a breakaway from the traditional white-cube gallery. Its artists – Ong Si Hui, Ivan David Ng, Qamarul Asyraf, Michael Lee, Zulkhairi Zulkiflee, Leroy Sofyan, Nhawfal Juma’at, and Ben Yap – draw from various disciplines and media to conceptualise work that is ultimately cohesive and generative in their response to the space. The working process for my stone sculptures is very mathematical and systematic. Yet, while the making is precise, the initial stage of drafting is open-ended and temperamental. I tend to make from a personal, emotional, and autobiographical place and I enjoy the authenticity of that. I draw a lot of my material from my past, usually moments that I used to think I would want to keep buried. This was definitely anxiety-inducing at first, but the end result is usually more positive than I expect. I don’t know when to stop or start working. Many things interest me, ranging from the beautiful yet violent mating ritual of the leopard slug to Trump’s communication style. So when there is a context, such as an exhibition of deadline, a number of my topics of interest may come together to form something, or nothing much at all. I’m motivated by a confluence of themes that range from intersectional identities, stratification, visibility, and material play. While they may seem somewhat disparate, I find them interesting nevertheless. Inspiration is fluid to me. It comes and goes, but as long as the space allows me (and the work) to breathe and speak, ideas will come. I make the work that I make to slow down and to feel more human. I try to remind myself every day that I need to slow down because I realise I get to see more that way. The optimism that my work can become the backdrop of meaningful conversations keeps me going. When I encounter people who get what I’m trying to do, without me having to do too much explaining, I feel I have found the reason for my continuing. It’s a love-hate relationship, coexisting. But all in all, if I could get just one person to look at me and tell me they understand without saying a word, I’m good. I think we need to constantly put ourselves out there even if people don’t seem to receive it well at first; eventually we learn to find the ones who do. It’s always fun to start something new and build everything from scratch because it will never be the same as the previous story. INTERWEAVE opens Friday, 14 September, 7PM to 10PM at 89 Neil Road. Opening night will feature a guided tour by Ben Yap and performance art by Nhawfal Juma’at. The exhibit will run until Friday, 12 October. Opening hours are 12PM – 7PM (Mon – Sun). Tech In The Workplace: A Blessing Or A Curse?